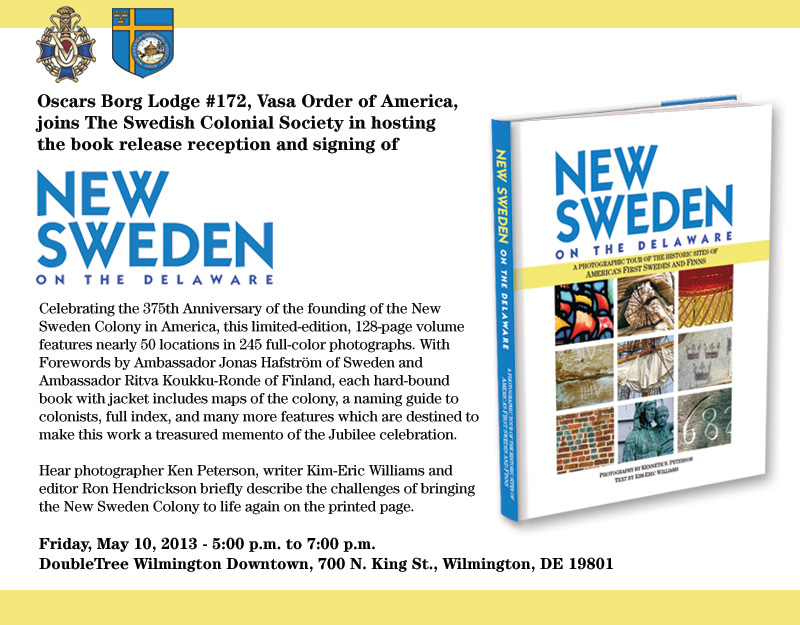 Celebrating the 375th Anniversary of the founding of the New Sweden Colony in America, this limited-edition, 128 page volume features nearly 50 locations in 245 full-color photographs. Click Here If You Have Questions About This Event? If the link above does not work. copy the link below and paste into your email.